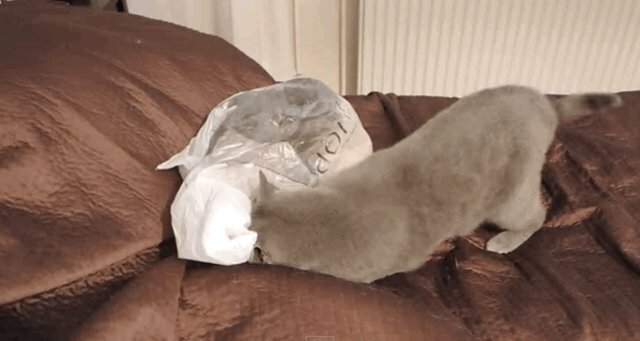 Cats truly appreciate the element of surprise, as their pouncy hunting tactics often suggest. But that doesn't mean they aren't susceptible to sudden surprises themselves. 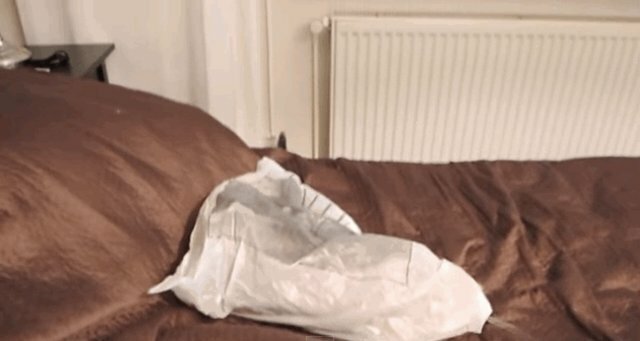 This cat gets a not-so-subtle reminder of just how sneaky felines can be. Hm. 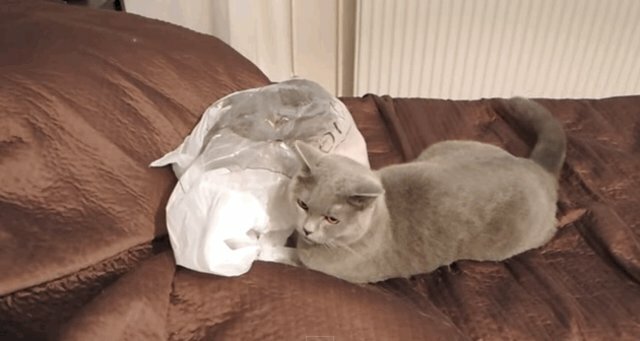 Nothing in this bag. Probably best to just sit here. Sheesh, can't anyone take a prank anymore? 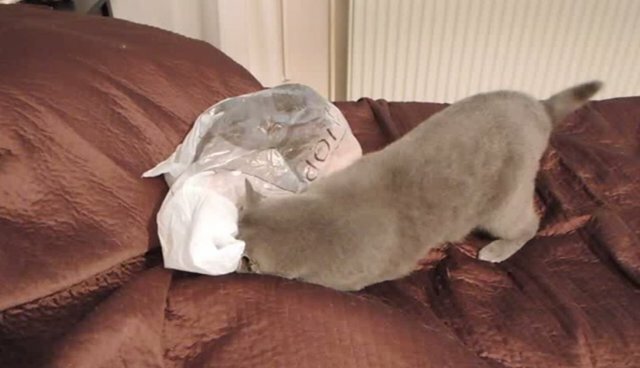 Plastic bags often feel cozy and awesome to kitties, but they can also be potentially hazardous, so always make sure you are present if your cat decides to play with one.